Porsche has won round three of the IMSA WeatherTech SportsCar Championship at Long Beach (USA). 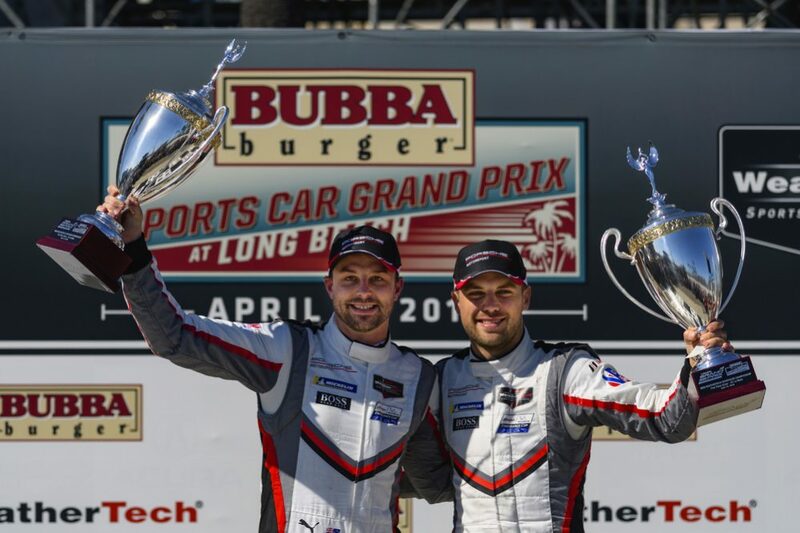 At a fiercely-contested city race in California, works drivers Earl Bamber (New Zealand) and Laurens Vanthoor (Belgium) secured first place at the wheel of the ca. 510 hp No. 912 Porsche 911 RSR. The Sebring winners Patrick Pilet (France) and Nick Tandy (Great Britain) finished fifth in the sister car with the starting number 911. Porsche now leads the manufacturers’, drivers’ and teams’ classification in the North American sports car championship. At the start of the 100-minute race – the shortest on the IMSA calendar – Tandy and Vanthoor defended their lead and managed to gradually pull clear of the field. However, a safety car phase shortly before the halfway point of the race canceled out this advantage. Initially, both Porsche 911 RSR fell back to positions two and three. After the restart, Bamber squeezed past his brand colleague Pilet, and with a spectacular overtaking manoeuvre, the New Zealander then snatched the lead. While the No. 912 car defended the top spot to the flag, Pilet grappled with deteriorating tires to bring his vehicle over the finish line in fifth place.